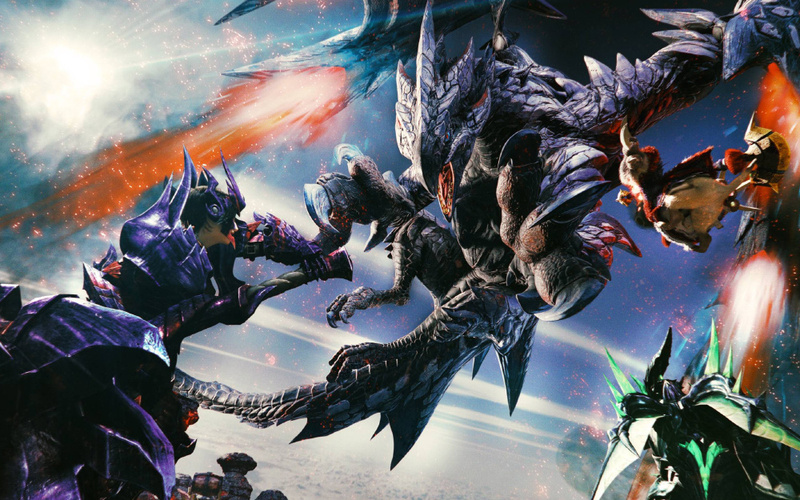 Monster Hunter! de Blob 2! Into the Breach! 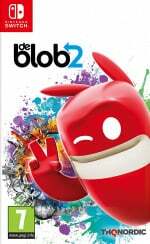 de Blob 2 (THQ Nordic, €29.99 / £26.99) - In de Blob 2 Comrade Black and the Inkies are back with a whole new plot to rid the world of colour. With all-new help from Papa Blanc and his followers the Blancs, Blob and his friends will have their work cut out for them bringing colour back to the citizens of Prisma City. 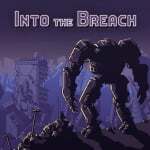 Into the Breach (Subset Games, €14.99 / £11.39) - The remnants of human civilisation are threatened by gigantic creatures breeding beneath the earth. You must control powerful mechs from the future to hold off this alien threat. Each attempt to save the world presents a new randomly generated challenge in this turn-based strategy game from the makers of FTL. 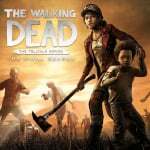 The Walking Dead: The Final Season - Season Pass (Telltale, €23.99 / £18.99) - After years on the road facing threats both living and dead, a secluded school might finally be Clementine’s chance for a home. But protecting it will mean sacrifice. In this gripping, emotional final season, your choices will define your relationships and determine how Clementine’s story ends. 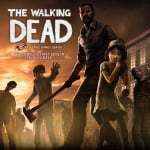 The Walking Dead: The Complete First Season (Telltale, €24.99 / £19.99) - Play as Lee Everett, a convicted criminal, who has been given a second chance at life in a world devastated by the undead. With corpses returning to life and survivors stopping at nothing to maintain their own safety, protecting an orphaned girl named Clementine may offer him redemption in a world gone to hell. 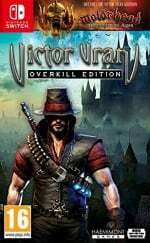 Victor Vran Overkill Edition (HaemimontGames, €39.99 / £35.99) - Become Victor, hunter of demons. Forge your own hero on a quest to liberate the cursed city of Zagoravia. Explore ‘Motörhead: Through the Ages’ - a wild tour through the mythos of the loudest band in the world, and enter the Fractured Worlds, a dimension formed from the fragments of broken realms. Western 1849 Reloaded (NAWIA GAMES, €6.99 / £6.29) - Back in 1849, when the West was Wild and gunslingers faced off on the street, gold was discovered in the sleepy town of Sunset Bluff. Like a coyote drawn to the scent of blood, the Quicksilver Bandits rode into town to seize the mines and establish the law of the gun. The helpless citizens have suffered, and now they're looking to you, their saviour. Draw your weapons! It is time to clear Sunset Bluff of the bloodthirsty vermin! Arcade Archives ARGUS (HAMSTER, €6.99 / £6.29) - “ARGUS” is a shooting game released by JALECO in 1986. Fly an aircraft with anti-air and anti-ground guns and use the power-ups available to destroy the flying fortress Mega Argus. Each stage features different equipment and a landing sequence at the end of the stage. ACA NEOGEO FOOTBALL FRENZY (HAMSTER, €6.99 / £6.29) - “FOOTBALL FRENZY” is a sports game released by SNK in 1992. Select from one of ten individual teams and compete to win the championship. A variety of formations allows for countless play patterns and extremely realistic games. A two-player versus mode is also available. 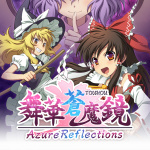 Azure Reflections (Unties, €17.49 / £13.99) - Now on the Nintendo Switch: A side-scrolling bullet hell fangame based on one of the hottest shooting game series to come out of Japan, the Touhou Project! Rush to tear your way through bullets and enemies alike! Chiki-Chiki Boxy Racers (Unties, €9.99 / £8.99) - Drift like a pro with easy analog stick controls! The intuitive party battle mode offers fun for everyone. Play wherever you are, any time! 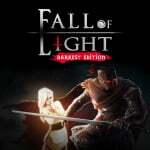 Fall of Light: Darkest Edition (Digerati, €13.49 / £12.14) - Fall of Light is a story-driven action RPG set within a world consumed by darkness. You are Nyx, an old warrior who has embarked on a dangerous journey with his daughter, Aether, an ‘indigo child’ who radiates luminescence. Only together will they be strong enough to complete their quest: reach the last place on Earth still touched by sunlight. Gnomes Garden 3: The Thief of Castles (8Floor Games, €4.99 / £4.49) - The gnome princess has finally come home. She managed to make peace with the trolls and befriend their queen, but at home, evil was afoot: a warlock collector stole the gnome monarch’s castle along with the royal family! The princess must gather a team and set off on a new adventure to save her loved ones! Haunted Dungeons: Hyakki Castle (Happinet Corporation, €11.99 / £10.99) - Form your party (a group of secret agents) from among four races: Human, Oni, Tengu, and Nekomata. Then conquer the terrifying and mysterious Yokai-filled castle! Mini Metro (Radial Games, €7.64 / £6.74) - In Mini Metro, you take on the task of designing the subway layout for a rapidly expanding city. Your city starts with three stations. Draw routes between these stations to connect them with subway lines. Commuters travel along your lines to get around the city as fast as they can. Each station can only hold a handful of waiting commuters so your subway network will need to be well-designed to avoid delays. Phantaruk (Forever Entertainment, €4.99 / £4.49) - Phantaruk combines survival horror with adventure and stealth mechanics. Expect true shivers down your spine as you fight for your life. INSTANT TENNIS Demo (Breakfirst Games, Free) - Easy to pick-up with motion controls: Swing the Joy-Con like a tennis racket. Fun to play with family and friends! Hyper Light Drifter - Special Edition (Abylight, €19.99 / £17.99, pre-order from 28/08/2018) - Explore a beautiful, vast and ruined world riddled with dangers and lost technologies. Echoes of a dark and violent past resonate throughout a savage land, steeped in treasure and blood. Hyper Light Drifter is an action adventure RPG in the vein of the best 16­bit classics, with modernized mechanics and designs on a much grander scale. 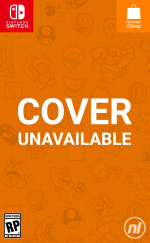 TowerFall (Matt Makes Games Inc., €19.99 / £17.99, pre-order from 28/08/2018) - TowerFall is the ultimate version of the archery combat/party game, featuring all of the content from Ascension and Dark World, and several Switch-exclusive additions! Inspired by classics from the golden age of couch multiplayer, TowerFall centres around hilarious, intense versus matches - best played against friends, sitting cross-legged on the floor within punching distance of each other. Bastion (Supergiant Games, €12.49 / £10.99, pre-order from 28/08/2018) - Bastion is an action role-playing experience that redefines storytelling in games, with a reactive narrator who marks your every move. Explore more than 40 lush hand-painted environments as you discover the secrets of the Calamity, a surreal catastrophe that shattered the world to pieces. Hover (Plug In Digital, €24.99 / £22.49, pre-order from 28/08/2018) - Hover is a fast-paced single and multiplayer Parkour game in a futuristic 3D Open World. Join the Rebellion and deride the security forces of an anti-leisure tyranny. Big Buck Hunter Arcade (MADCOW, €34.99 / £29.99, pre-order from 30/08/2018) - The Hunting Arcade Game is now available for your console. Big Buck Hunter will bring the arcade experience to your living room with this fast-paced, addictive arcade shooter! Travel around the globe and take down wild game in Whitetail and Moose adventures or try your aiming and speed skills in epic bonus challenges. Party Crashers (Giant Margarita, €14.99 / £13.49, pre-order from 30/08/2018) - Fast-paced battle-racing with a retro-future aesthetic for 1–4 players. With over 50 included game modes and almost endless customisation, Party Crashers is amazingly fun out-of-the-box and then lets you create your own fun. SENRAN KAGURA Reflexions (Marvelous Europe, €9.99 / £8.99, pre-order from 30/08/2018) - A new SENRAN KAGURA game is coming to Nintendo Switch! Help your friend relax by massaging her hands and you just might restore a piece of her lost heart. Explore her many daydreams and you’ll get to know her as an experienced warrior, an energetic admirer and much more. Very poor week for 3DS, bad deals . Just Freedom Planet to complete my Wii U indies collection on Switch. They actually discounted Mario Kart 8!! Im a bit in shock about that haha. Also heartily recommend Doom at that price! 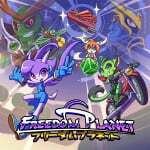 Freedom Planet all the way! I loved this on PC but hate actually playing games on PC so it's an easy choice for me. 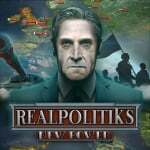 Several new indies and some offers interest me. Freedom Planet and The Messenger at the top. This is a great day for shmup fans! Touhou Azure Reflections and Argus on the eShop worldwide, Psyvariar Delta releases in Japan and the physical version of RXN is soon available on P-A for preorder! Monster Hunter for 59,99 euros?!!! Goodbye Capcom. Already have enough to play. It didn't come out recently but I'm currently downloading Superbeat XONiC, it's on sale so I finally bought it and I'm looking forward to the download finishing! 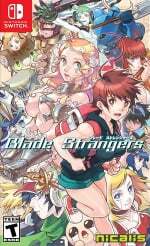 The Blade Strangers review link is going to The Walking Dead review. Wow! A meaty discount on MK8DLX, Splatoon 2, ARMS and DOOM, it looks like Nintendo really changed since WiiU times? (they are 29 euro in the South-African eShop btw). OMG i've just realised what Nintendo are doing!! They've specifically put all of their first party online games on sale so that they pull us in and then we're locked into having to get the Nintendo Online Service in September! @Megal0maniac Well NoE seems to do occasional sales. I can't really say the same for NoA (and even less for Canadian eShop). I'll get MHGU at some point, and I'll get de Blob 2 when I've finished the first one. I'm surprised that Battle Chef Brigade didn't get a discount just like it got on Steam alongside the new big update. @Ernest_The_Crab Well, NoE isn't all that. Except UK we didn't have any physical Nintendo point rewards. Plus years of neglect regarding 1st party (physical or not at all) releases that came out in Japan and NoA but skipping NoE. Wanna try The Walking Dead so I'll get season 1. DOOM is so good I got about 80hrs out of it on Switch, give it a try if you've been on the fence. @Megal0maniac I thought about it, but I'm not entirely sure if my card will work there and there's the other issue regarding exchange+additional fees. The Messenger, Mini Metro, Into the Breach and Freedom Planet in the same week (with Monster Hunter just out a couple of days ago). Glory days. Pretty cool to see Nintendo's own AAA efforts on sale for once. I hope this translates to other regions as well as to other titles in the future. @electrolite77 Indies certainly keep the Switch afloat amidst Nintendo being more ... uhm conservative with their releases for now. I am so bad at Into The Breach, but it is so much fun!! Into the breach sounds good so I'll probably get that this week. All over Victor Vran, The Messenger and Blade Strangers! 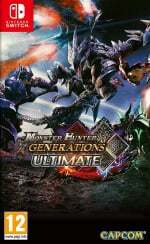 Picked up Walking Dead Season 1, Freedom Planet, Monster Hunter Generations Ultimate (Though got that last week) and God Wars. 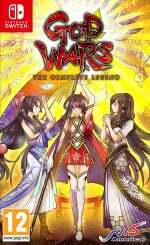 Will nab those free DLCs for God Wars also. I'm getting tempted by Fifa 18, though not a big football guy, £12 aint to be snuffed at for some handheld action. Also tempted by Viktor Vran, especially as Base.com have it for £25 or so at the moment. Where can I buy a new copy of Mario Kart 8 Deluxe for £34? Already downloaded Into the Breach... There's some nice indies this week, both new and proven ones. I was never interested in Victor Vran on PC, but it is strangely tempting on Switch. Maybe because there's no mouse clicking. Where is Instant Tennis demo? I don't see it in eshop. @SBandy it’s 39 on base.com- then you have potential resale money in years to come. I buy digital titles but never anything over £10. 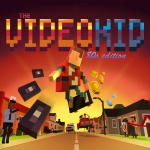 I don’t understand paying physical prices for digital games. However- each to their own. If digital prices were less the physical prices you could kiss goodbye to physical games market and brick and mortar shops. Digital games remaining full price is a necessary evil to keep the physical games market alive and kicking. People who like physical games should actually be happy this is the case. @SBandy I understand where you are coming from but keeping digital games at full price years after a game has been released is not necessary. Nintendo do this. The only reason these have discounted is because they want online adopters. Anyway it’s silly arguing about great games. Enjoy however you want and have a great weekend playing 👊. They're discounting games with online play in a bid to get more peolple to pay for Nintendo Online... I see right through them, but idm. I’ve enjoyed loads of indies, and I’m overwhelmed by the number I’d like to play but haven’t got round to yet. I think here’s still a tendency on the part of some to look upon them as cheap ‘filler’ when in fact the likes of Celeste, Hollow Knight, Rocket League are legitimately high quality productions. These aren’t the games the likes of Codemasters used to put out for £2.99 on the CPC/C64/Spectrum. Getting that support has been a really deliberate strategy by Nintendo and it’s working well. 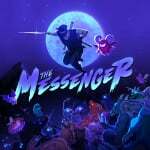 Damn, The Messenger is so much fun! @electrolite77 I couldn't agree more. It's not hyperbole when I say that Hollow Knight is one of the best games I played in years! Like this year the only other title I've played yet, that I found equally engrossing and just equally well made in virtually all aspects of its design was God Of War, which as it stands is my favourite (AAA) game of this generation - period. It's not even a contest, despite Witcher, Bloodborne and all the others. It just gripped right from the first minute and for dozens of hours it never let go. That's true for both games and these days it is a rare thing for me indeed. I more and more struggle to finish games and esp. in terms of "binging" them. More and more often I need to take breaks for something else. Not with Hollow Knight and not with God of War. If anything I kinda have to force myself to put them down to catch some sleep once in a while and perform other basic duties! I'm bringing up GoW, because Hollow Knight neither in quality nor quantity of its content has to shy away from the comparison. Yes, GoW has some advantages, like gorgeous '4K'-HDR visuals (the best I've seen yet), really impressive voice acting (esp. Mimir, which actually caused me to buy the audio book version of the games novelization, something I never even considered doing before - ever! ), but at the same time Hollow Knight features an impressive soundtrack, stunning 2D artwork and most of all really well done environmental story telling - doing GoW actually one better in this regard. When you do these sorts of articles, may I suggest also including the review score so we don't have to click on each game's link and also the file size for all us conscientious time and space savers?